Avancera is officially becoming The IT Content Factory. Over the next few weeks, we will be transitioning into a new, exciting service. Stay tuned! 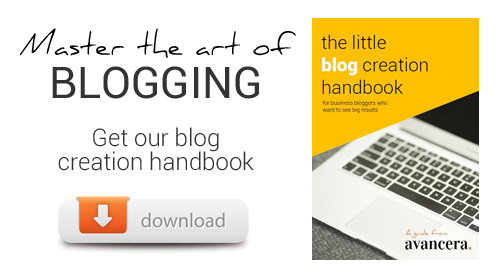 Clever, quality blogging is the most cost-effective marketing tool your business can have. Get your content strategy right from the beginning – aligning your messaging with your core purpose. What’s the use of a good news story if it doesn’t get read? Create, distribute and share well-written regular articles. Ready to use the brand voice of your business? See if our creative content and marketing solutions can make it happen.